I have a large three-door closet that reaches the ceiling of our bedroom (ours is a first-floor apartment), my husband has his own closet with half the size of mine, and our bed has a header cabinet for more storage, and yet, space is still a problem in our wardrobes. I realized that I can have an even bigger closet, but if I don´t find ways to practically organize our stuff, space will always be an issue. Do you also wish you have more space in your closet? Maybe the solution isn´t a bigger closet but functional tools to help you save more space. If you´re thinking of arranging and organizing your wardrobe, these 21 helpful tools and organizers will surely come in handy. I used to store my belts in drawers. But because I have many belts, some of them were rarely used. When the time came that I had outfits for them, I found out that the folded parts of the belts had peeled off. 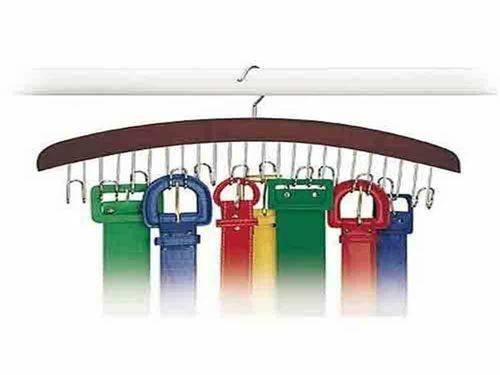 I´m now a strong advocate for belt hangers. 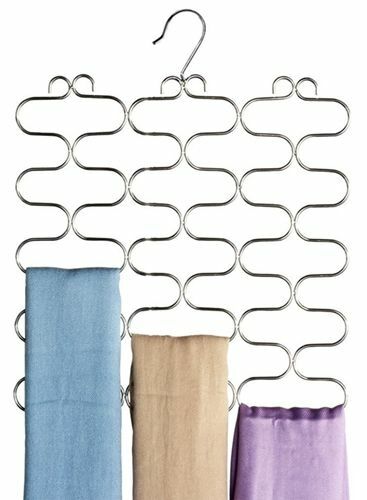 For sensitive and lightweight scarves such as chiffon, beaded or knitted, this scarf holder is ideal. 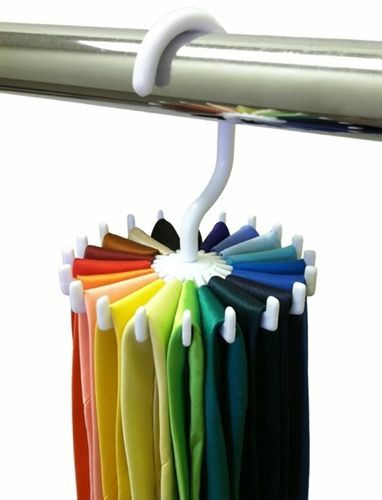 For shawls and thick/wide scarves, this organizer holder is perfect. 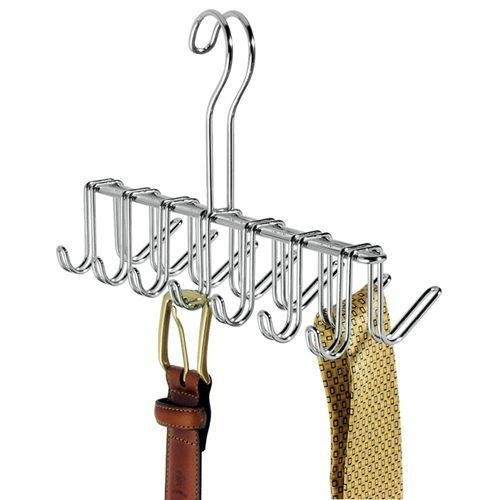 You can also opt for a back to back accessory hanger. Do you wear ties? I do. 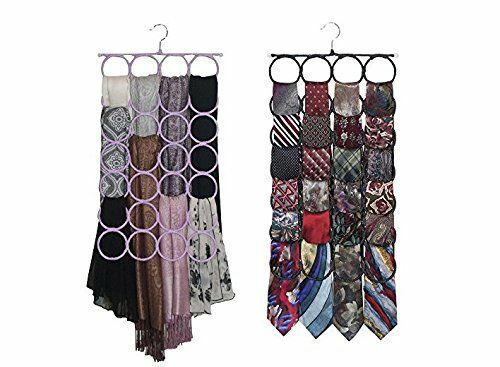 Although my collection of ties isn´t that much, I still find arranging them with a tie hanger really effective in segregating my outfit accents. If your closet door isn´t sliding like mine, then you can make use of it. 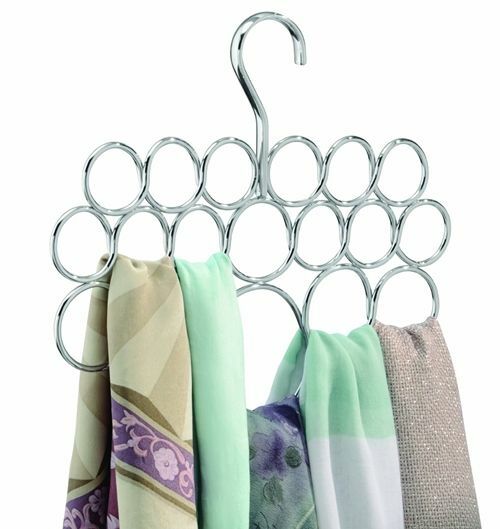 Attach this tie-hanger door organizer for an easy access to your ties or scarves. If you have a partner, chances are you´re in-charged of keeping his closet in order. 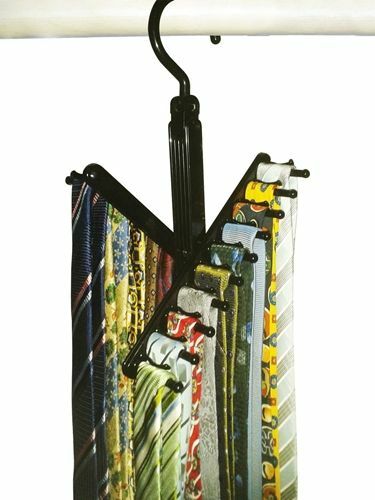 He will surely appreciate it if you can keep his ties organized by colors and prints, and make them accessible using this rack. I find boots really space consuming. 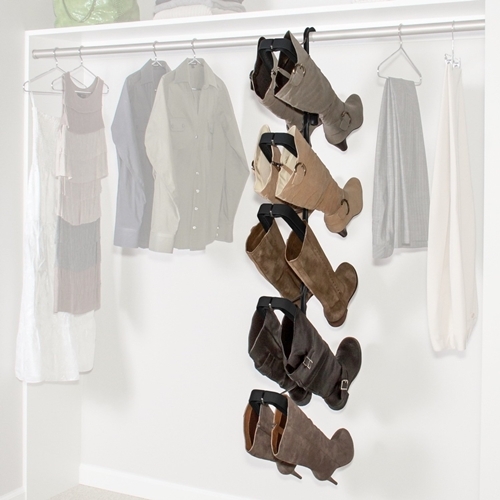 If the space in your bedroom can afford to host a boot rack, organizing your boots with hangers is a good idea. 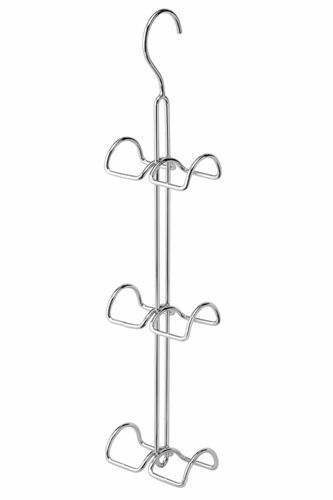 But if yours is a tiny bedroom and racks are a no-no, you can go for this boots hanger instead. It can take up to five boots. 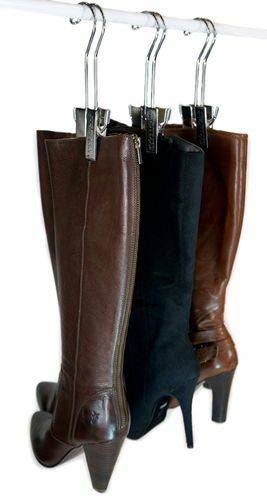 Instead of piling your boots on top of each other, let them stand with the help of boots shapers. 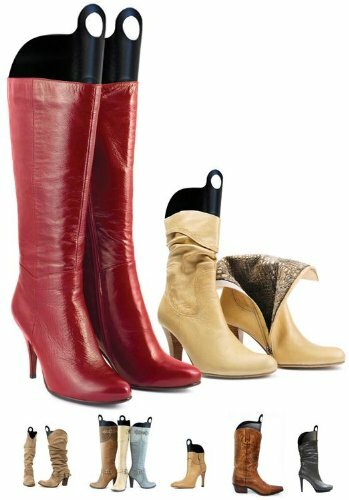 This will help you save space on the floor of your closet + it will preserve your boots` original shape. 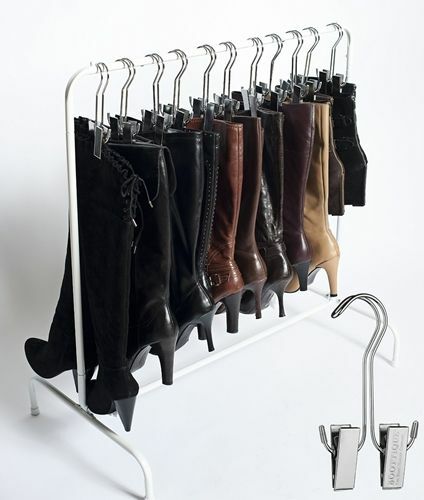 If you live in a warmer place and you only have a few boots, you can hang them side by side your coats with the help of boot hangers. 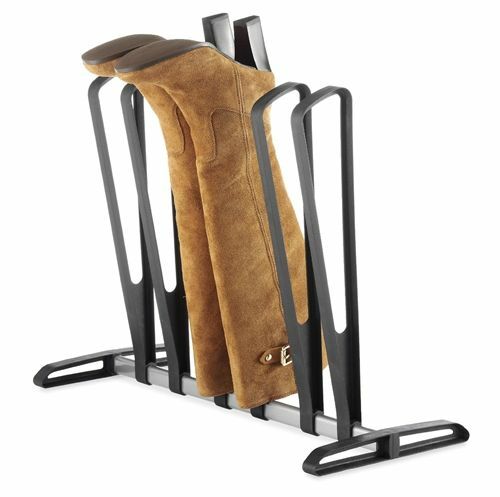 Instead of boot shapers, you can also make your boots stand upside down with the help of this boots organizer. But it can take only up to three boots. 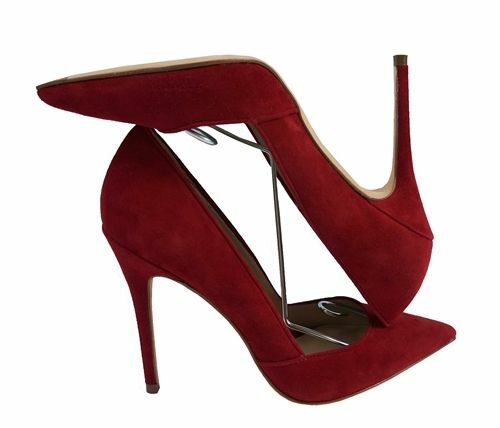 Using this shoe tree, you can double the number of pumps and sandals you can store on your closet floor. 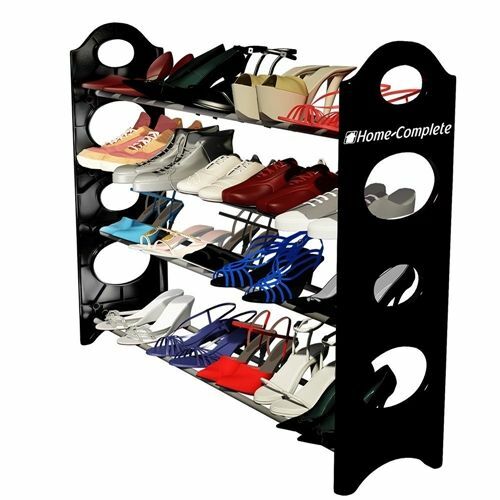 Think about how much space you can save with some simple shoe holders. The shoes that my husband and I often wear stay at our door entry. But lately the shoes scatter on the floor because our shoe bench has only two shelves. I badly need this big four-shelf-bench right now. Do you want to maximize the space under your bed? 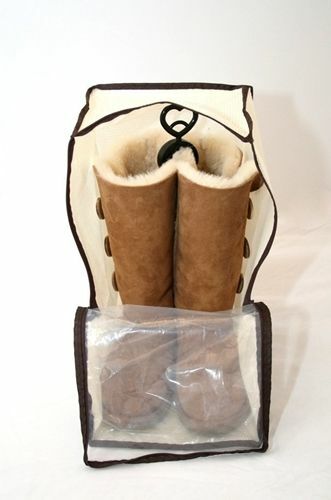 Why not store your boots in individual boot-bag and keep them hidden under the bed on warmer days? Just make sure you spray or apply protection to your boots according to its material, and let the boots breath once in a while. Too many shoes and still too less space? 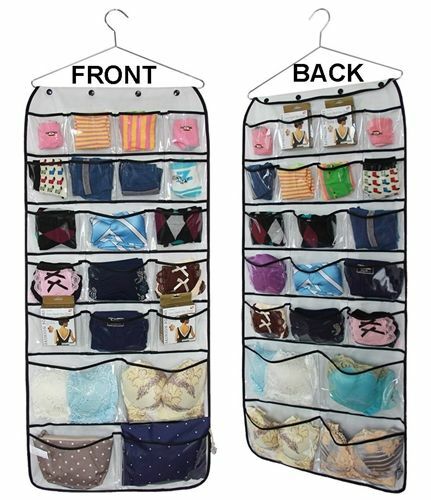 Make use of that closet door using a door-shoe-organizer with lots of pockets. This carousel can hold both shoes and bags. Very functional, I must say. Handbags can easily be deformed or turned out of shape if you´re not careful. Placing them in a handbag file will help prolong their life. If all your bags have dust bags, you can opt for this simpler handbag holder instead. Tired of wasting time digging deep down your drawers for that shaper or matching bikini? Here´s a simple solution, arranging them in a dual-sided organizer. Or you can go for a drawer divider which you can put under your bed, beside your bed, on top of a cabinet, or anywhere. They make organizing those tiny beauties really easy.